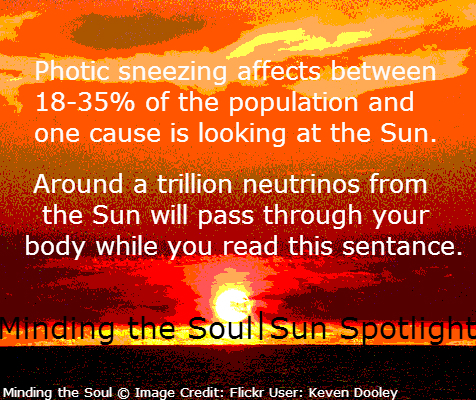 This is the final look at the Sun for Minding the Soul. 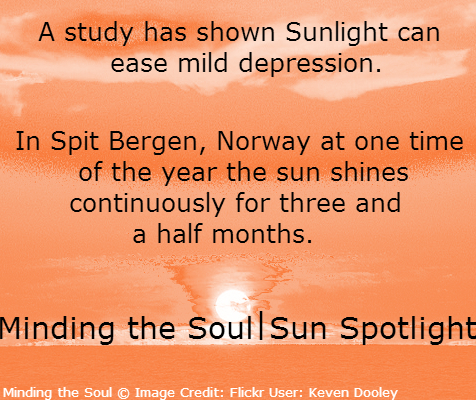 The sun does a lot of good but always remember to respect it and take pre-cautions such as covering up and sun cream. 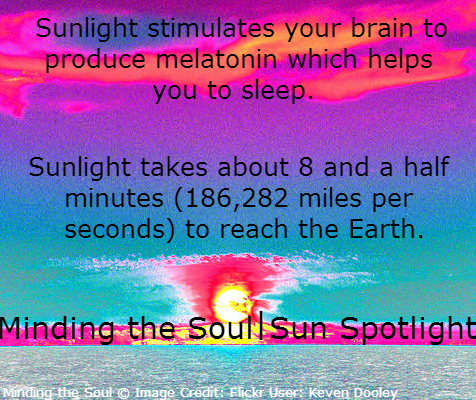 The Sun and the Vitamin D it stimulates really does a lot for our body. 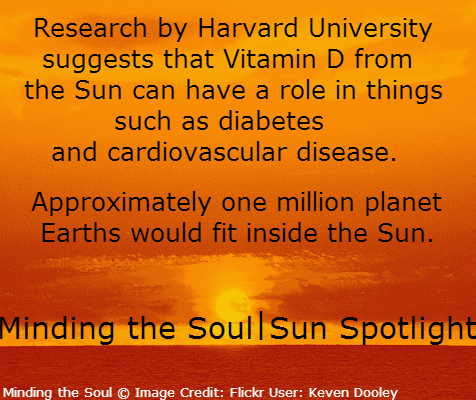 A few more things about the Sun you may or not know.